Gartner predicted 8.4 bl connected “Things” across industries and verticals back at the beginning of 2017. Today, Statista multiplies this number by more than two and registers as many as 20 bl IoT devices around the world. These numbers only confirm that Internet of Things remains one of the biggest game-changers and IoT trends 2018 are worth watching. 2017 saw many significant news associated with IoT. Hundreds of startups that make IoT revolution possible receive billions of dollars in funding. Governments and world organizations adopt disruptive IoT innovations in the context of Industry 4.0. Leading IoT software platform providers strengthen their standing and introduce fundamentally new solutions and strategies to integrate IoT across industries and markets. 2018 will witness the expansion of IoT to a wider scale and pursuing efforts to tackle major issues in the field. 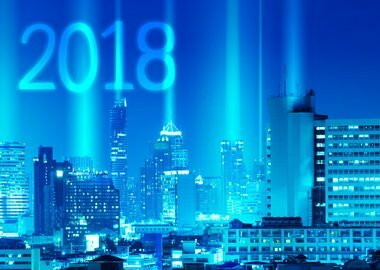 Here are the key trends of IoT to keep an eye on in 2018. According to The Forrester Wave, business and infrastructure and operations professionals realize the opportunities of Internet of Things. The research confirms that 60% of decision makers already use or planning to use IoT-enabled applications over the next two years, from building connected products to transforming operational processes. However, the adoption of IoT at the dawn of the regulation and standardization of emerging technology and protocols is complicated and often resembles going in blind. Today, decision makers have to deal with “fragmented sets of hardware, protocols, software, applications, and analytics solutions.” These issues persist and slowdown IoT adoption. At the same time, strong IoT software platforms by IBM, Amazon, Cisco, General Electric and other giants offer multitier solutions that simplify design, creation, integration and management of IoT infrastructure and enterprise data. These multifunctional solutions will address remaining issues and help companies and governments build, secure, connect and manage IoT-enabled technology at large scale. Moreover, high competitiveness between platforms pumps continuous improvement and innovation. Today, AWS IoT launches the technology to run trained machine learning models on edge devices. IBM Watson IoT platform offers strong cognitive capabilities. 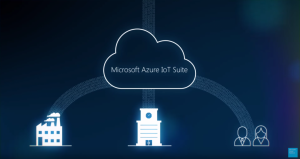 While Microsoft Azure IoT Suite issues new developer-friendly features for device management that makes integrating connected devices to enterprise infrastructure much simpler. 2018 will see further development of IoT software platforms and wide-scale adoption of diverse packaged applications for hardware operation management, security, predictive maintenance and asset intelligence. No technology develops in isolation. Wide array of IoT application involves integration with machine learning capabilities, image recognition, augmented reality, blockchain and other technology synergy. These projects are numerous. IOTA blockchain partners with major IoT players and promises to secure invisible micropayment transactions handled autonomously between smart devices. Zappar AR platform cooperates with Ervythng to drive interactivity into everyday application of smart devices and add value to both business and consumers. The whole concept of predictive maintenance - one of the most promising applications of IoT in manufacturing and consumer markets - is built on the integration of machine learning into IoT infrastructure. With the help of machine learning, silos of both real-time and legacy data turn into insights and predictive models able to foresee the wear of machinery, automate maintenance, prevent malfunction and obviously, cut cost. Next year, we will see more collaboration between single-focus projects and in-platform expansion both vertical and technology-wise. Technology augmentation will originate in acquisitions, as in the case of PTC IoT platform ThingWorx and AR SDK Vuforia, or in-house development, as in the case of the joint efforts of IBM Watson Natural Language Understanding service, Watson Machine Learning and IBM IoT Watson platform. Data is an important product of IoT-enabled systems and services. However, only well-prepared, cleansed, formatted and indexed data turns into valuable insights. And according to data scientists, 80% of the work involved in gaining analytical insight from heterogeneous data is the tedious work. As a result, not every company that introduces IoT technology into its operations and processes will get the best of its data. In this context, we expect to see new varied approaches to data intelligence, data application and monetization. This year, previously mentioned IOTA came up with the initiative to create data marketplace, where any connected device or sensor could securely purchase valuable data for a micro-fee to excel its operations. This data economy would provide billions of IoT-powered enterprises with easy access to cost-efficient well-prepared data. In other words, it would enable companies and governments to overcome the need to work out every bit of data they need, get richer insights, see fuller picture and monetize the data they own. Security remains the biggest issue across the entire IoT ecosystem. Mobile Ecosystem Forum research states that “60% of global consumers are worried about a breach on their connected devices and 62% found privacy a principal IoT concern,” quoted on Forbes. According to Evans Data, 92% of IoT developers believe security will continue to be an issue in the future. This issue is relevant at different levels from enterprise data transfer, personal data sharing and payment transaction safety to hardware and device access security and IoT system integrity. Today, biometric identification for personal mobile devices is already ubiquitous. Soon, we can expect connected devices to embrace the benefits of advanced authentication. For example, Amazon Alexa is promised to learn how to recognize up to 10 voices in 2018. Thus, virtual assistants will enable exclusive access to connected devices and IoT services. In the context of invisible payments within IoT ecosystem - product reordering, automated service payment - blockchain and Tangle-based technology will remain in the center of secure transaction concept. 2018 will see another spin of development in this field, as the volume of automated payment transactions grows. Another problem the producers of customer-oriented IoT tools and services are still to figure out is how to get rid of customer fear and privacy concerns. For example, LockState tackles this problem by referring to familiar to people “bank-level encryption” term describing their authentication technology. It helps to assure consumers IoT locks are as secure as traditional key-based locks. This simple trick works with one device. However, IoT designers and engineers are still to solve the same problem at a scale of connected homes and connected cities. Yet, the security of big data collected throughout IoT ecosystems is the challenge of the biggest gravity. On one hand, relevant application of this data can make a difference and help in solving global ecological, political, economical and healthcare problems. On the other hand, manipulation of the data may jeopardise the security of industries, economies and countries, to say the least. General Electric, one of leading IoT market players, believes that by 2030, IoT will add $10 to $15 trl to worldwide GDP growth. This massive market is expected to double in size yearly and transform industries, business operations and consumer journeys as we know them today. Following the waves of IoT development and watching IoT trends 2018 is the sure way to keep up with this transformation and take active part in forming the new connected world.